While currently only supported in Chrome, Object.observe allows for the direct observation of changes to ECMAScript objects. It allows an observer to receive a time-ordered sequence of change records which describe the set of changes which took place to the set of observed objects. A still-being-written online book demonstrating the benefits of and practical approaches to refactoring and improving code. There are already four tales to read. Make development more declarative and focus on your applications logic by using a library of UI controls. 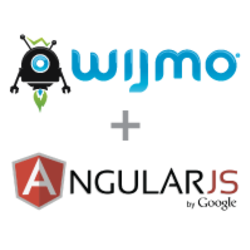 Wijmo, a collection of widgets from ComponentOne, provides seamless support for Angular in every widget for mobile and web application development. Download to get started. Kirill Buga shares about his experience getting started with the ReactJS Library from Facebook. Todd Motto didn’t think the Angular team’s own guidelines went far enough so he’s built a more extensive Angular coding style guide aimed at teams. Anton Kovalyov has handed on the JSHint baton to Bocoup’s Rick Waldron whose main job now is to get JSHint ready for ES6. A short but sweet look at how Angular and Polymer relate to each other. Built on Express, feels like a lightweight Rails. If your job is to make the Web fast, scalable, resilient, and highly available, Velocity will inspire you to look at your work, technologies, and organization in completely new ways. From web performance and operations to devops and mobile, Velocity delivers legendary learning. Built on Express, feels like a lightweight Rails. If your job is to make the Web fast, scalable, resilient, and highly available, Velocity will inspire you to look at your work, technologies, and organization in completely new ways. From web performance and operations to devops and mobile, Velocity delivers legendary learning.